With all of the different ways that people try and rid fat from their bodies, such as healthy eating, exercise, medication, or even liposuction, it can be difficult to know if a treatment like CoolSculpting is the right kind for you. If you want to know the difference between fat removal and weight loss, how it relates to the kind of treatment you are considering, and how the CoolSculpting process works, look no further—after reading this, you will know for sure if you are the right candidate for CoolSculpting. CoolSculpting is a form of fat reduction, not weight loss. In procedures like CoolSculpting, fat reduction is manual and targets particular areas of your body. This means that when you visit a clinician, the areas in which your fat will be reduced is determined by a careful analysis of your body. Unlike liposuction, however, CoolSculpting is a non-invasive method of fat removal, and so it’s far simpler and less expensive.The fat targeted by CoolSculpting is usually stubborn and hard to remove through diet and exercise. CoolSculpting involves the supervision of a trained professional as well as advanced machinery when carrying out the process. Therefore, CoolSculpting is best suited for people who have a moderate amount of fat on their body and want particular areas of stubborn fat being removed. You should know what parts of your body CoolSculpting is able to remove fat from. If you think that you are the appropriate weight for CoolSculpting, and you know the difference between weight loss and fat removal processes, it’s good to know what areas CoolSculpting treatment is approved for in your area. In the United States, the FDA has cleared the treatment process for visible fat bulges in the submental area, thigh, abdomen and flank, along with bra fat, back fat, underneath the buttocks (also known as banana roll), and upper arm. In different areas of the world, however, there are sometimes more or less areas of treatment approved, so you should make sure to check what has been approved where you live. This is how long it takes for results to show. To understand how long it takes for results to begin showing following treatment, the first thing you should know is that the change is gradual. 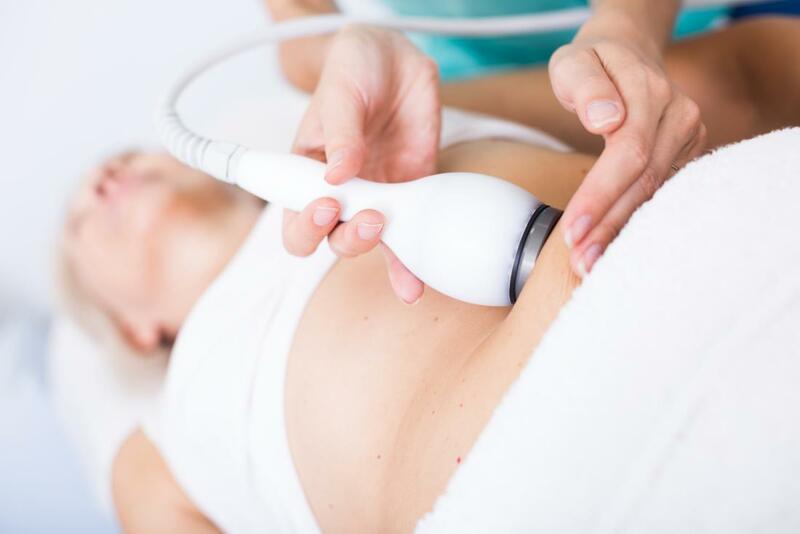 CoolSculpting is a specific type of fat treatment that burns between 25% to 50% of the fat in areas that you and your clinician decide are best to treat. For some patients, this process starts to take place 3 weeks after their first treatment, but it varies with many patients. The most significant results are usually seen between 1 and 3 months following treatment, and fat reduction may continue to be observed for as long as 6 months after treatment. CoolSculpting will not inhibit you from being able to do daily activities. Nearly all patients who decide to be treated with CoolSculpting are able to perform all of their activities like normal following treatment. CoolSculpting is a non-invasive fat removal procedure that is also nonsurgical, so there aren’t any annoying recovery periods or potential critical health issues that may follow. Patients often continue their schedules the same day they complete their CoolSculpting treatment. Are there potential side effects to CoolSculpting? You deserve to know what the risks are of CoolSculpting before deciding if you are a candidate for CoolSculpting. There may be some uncomfortable experiences while undergoing treatment, but they are all temporary. For example, during the procedure you may experience sensations of pulling or tugging at the treatment site, but as the treatment area becomes numb, those feelings begin to subside. Typical side effects of CoolSculpting include temporary redness, swelling, blanching, bruising, firmness, tingling, stinging, tenderness, cramping, aching, itching, or skin sensitivity. The CoolSculpting treatment process is proven to be a safe method of fat reduction. Some rare additional side effects may occur as with any medical procedure. Despite the potential side effects, CoolSculpting treatment is proven to be a safe method of fat reduction. Could my body be harmed by CoolSculpting? Other than the potential side effects of CoolSculpting, which are usually related to individual issues, the CoolSculpting procedure is kept safe in many different ways. First, The CoolSculpting procedure is always handled by clinicians who are specially trained in CoolSculpting. The special training is an in-depth certification process to make sure that CoolSculpting is done correctly and safely. Additionally, the treatment process is always done in medical offices and under the careful supervision of licensed professionals to guarantee the highest standards of care. The CoolSculpting system itselfhas built-in safety measures to ensure that your skin or body is not harmed during treatment. For example, when the sensors detect that the skin is too cold, the CoolSculpting system automatically shuts down. Many people feel confident that the CoolSculpting treatment is not only effective, but safe. Are you the right candidate for CoolSculpting? If after reading all of the things you need to know about CoolSculpting, the risks, and the benefits, you should have a better idea as to if you are a good candidate for CoolSculpting or not. In addition to educating yourself about it, you can always ask a clinician who understands the procedure well enough to tell you If it is the right kind of treatment for you.